Lakewood, CO, March 12, 2013 – The Care Navigator offers solutions for family caregivers living in Denver Colorado and the Colorado Front Range. Most, if not all caregivers become stressed, depressed and are in poorer health than the aging parent or family member for whom they provide care. Caregiver Stress. Family caregivers experience a significant degree of guilt as the result of accepting the role of a caregiver. Caregivers feel obligated to care for aging parents and loved ones, yet neglect their own health, wellbeing, personal lives and relationships in order to caregive. It’s often not until a caregiver becomes seriously ill, realizes that they have lost all of their friends and essentially has no life outside of daily caregiving responsibilities that a need to change daily routines and to lessen caregiving responsibilities is acknowledged. Caregivers make excuses and poor decisions because of becoming unintentionally over involved in caring for aging parents and loved ones. Caregivers see themselves as super beings arriving to save the day. Many caregivers are unable to set appropriate personal boundaries relative to caregiving responsibilities, duties and commitments, making caregivers more at risk for poor physical and mental health as the result of caring for aging parents and loved ones. Pamela Wilson, President of The Care Navigator, “I often hear caregivers tell me they’ve never been sick in their life, until now. Caregivers tell me they don’t have time to attend to their health or go to the doctor because of the time involved caring for aging parents and loved ones. This is when I pose the question: then you do have time to be sick?” Short videos offering information and support about caregiving subject matter are available for family caregivers. Caregivers also fail to realize that if something happens to them, who will provide care for their aging parent or loved one? Many caregivers complain about the stubbornness of aging parents, yet fail to realize that they, the caregiver, are as stubborn and unyielding as an aging parent or loved one. Caregivers become their own worst nightmare, especially when they become ill and need care and stubbornly refuse to accept care. 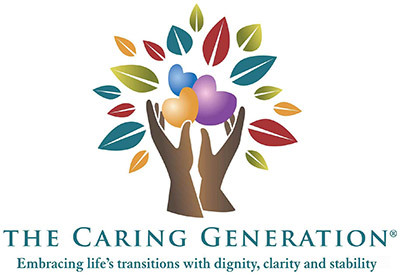 The Care Navigator, serving Denver and the Colorado Front Range, is a caregiving advocacy and support firm that provides assistance in five main areas: unexpected events, ongoing care and household oversight, consultations and assessments, legal planning and advocacy and care transitions.